CAXI is a technology made for producers or consumers of green energy. 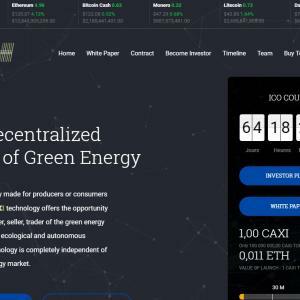 CAXI technology offers the opportunity to become a producer, seller, trader of the green energy market with a totally ecological and autonomous solution. CAXI technology is completely independent of any financial or energy market. CAXI is the first decentralized cryptocurrency mining company with 100% ecological, autonomous and self-sufficient stations. With our new autonomous stations spread over three continents, we optimize cryptocurrency and reliability. Our CAXI stations are built underground for safety and near the station, we have solar panels for the power supply on each installation.CAXI is, therefore, a major player in the production of green energy and is 100% involved in ecology. Cryptocurrency mining and electricity generation are not the only activities of CAXI, we are also interested in mobility by installing charging points for electric vehicles in our stations.